A few weeks ago, I had the honor to judge the Florida/Caribbean bracket of Hyatt’s inaugural Good Taste Series Culinary Competition at Grand Hyatt Tampa Bay. This competition featured 11 up-and-coming chefs from Hyatt hotels across Florida and the Caribbean competed for a chance to move onto Hyatt's National Good Taste competition in Hawaii. This was an amazing experience. Guided by Hyatt’s global food and beverage philosophy: Food. Thoughtfully Sourced. Carefully Served., each competitor used local ingredients, regional influences and healthy options to prepare three plates: one breakfast item, a lunch or dinner entrée and a kid’s meal. 11 chefs, 3 courses = 33 dishes. I tried each one of these beautifully presented dishes and I am not responsible if you end up licking your screen after reading this post. I must admit - I am not a breakfast person. Not that I dislike breakfast, I do love a great brunch. However, I find myself opting for a fast protein shake in the morning vs. a hearty sit down meal. My game face went on instantly when I learned we would start with 11 breakfast dishes, 10 of which contained eggs (belly, I am sorry). Thank goodness for the talented chefs who participated in the event. To this day, I have no idea how I made it through course one and I still cannot eat a runny egg. We did not take a break between breakfast and lunch. I was texting my Mom during this short transition, telling her there was no way I was going to make it through another 22 dishes. She kept responding that my life must be so hard, lol. The only comparison I have to my mental state at this point is running a full Marathon. While I had 11 dishes down, we had 22 to go and this was a chance to eat dishes from multiple talented chefs. Time to get with the program belly! 22 dishes to down, 11 to go. That is what I had to keep telling myself at this point. We were 2/3 the way through this amazing culinary journey. The kids menu was the talk of the day among the judges. What were they going to present us with? How many chicken fingers would we see? Towards the end of this course, my psycho phone died and some of my photos didn't save (oddly enough, ones that were deleted were not the last ones I took). Congrats to Chef Noel Willhite of Hyatt Regency Coconut Point who was crowned the winner of the Florida-Caribbean bracket of Hyatt’s inaugural Good Taste Series Competition. 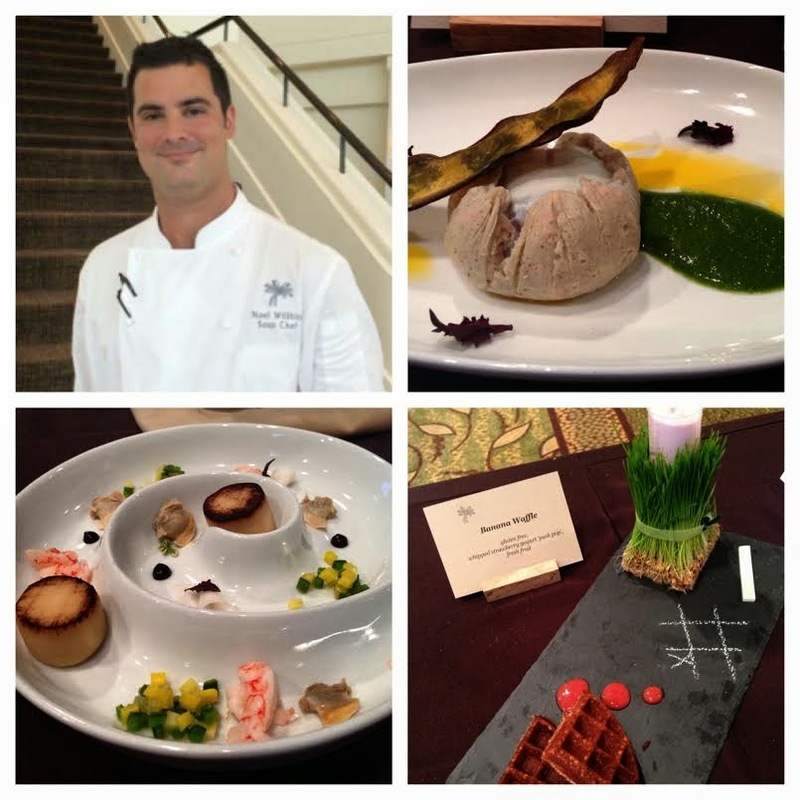 He will advance to the national competition, taking place on November 4, 2014, at the Andaz Wailea Maui. Along with advancing to Hawaii, Chef Noel Willhite, received a Shun knife, a year subscription to the food magazine or cookbook of his choice, a $500 American Express gift card and an all-expense paid trip to the national competition. The final winner at the national competition will receive an additional week of vacation, paid travel and accommodations to the Hyatt destination of choice within the U.S., Canada or Caribbean as well as bragging rights until next year’s challenge.